By creating parks within the San Diego River Park system, residents, neighborhoods, volunteers and partners discover natural resources and San Diego history, enjoy parks and recreational activities along the river trail and become motivated to conserve and support this cultural jewel. 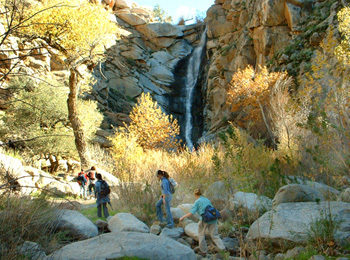 Urban parks and pristine wilderness areas connected by the San Diego River and the River Trail make up the backdrop for the San Diego River Park system. Help us keep the River beautiful for the next generation.